Ever wondered who operates the internet? This week, Tudou’s first foreigner CTO, Steve Mushero, tells us how he uprooted from the Valley, moved to China, and co-founded one of China’s first and leading cloud service, ChinaNet Cloud – essentially the backend to the World’s largest internet user base! Connecting giants such as Amazon and Alibaba to their online audiences, Steve shares how he speeds up cross border IT transactions, and the importance of adaptability when targeting the Chinese market. 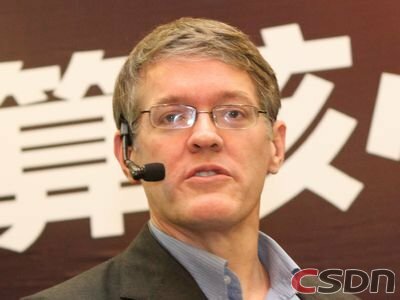 Having successfully raised 9 million USD from local investors, Steve discusses the difference between negotiating local and foreign investment, and sourcing trustworthy local leadership, and predicts how the QR code phenomenon might expand beyond Chinese borders. China Startup Pulse is a weekly podcast designed to give startup enthusiasts around the world a behind the scenes and on-the-ground understanding of what’s happening in China’s startup ecosystem. Founded and hosted by Ryan Shuken and Todd Embley, and produced by Vivian Law, China Startup Pulse is sponsored by Chinaccelerator, People Squared, and TechNode.